It’s Spring & Summer is Coming — & so are Cemetery Preservation / Restoration Workshops – But Not All Hands-On Workshops are Alike! With Spring upon us and Summer on the horizon, we are reading about hands-on cemetery preservation (or cemetery restoration) workshops to be presented in Ohio and in neighboring states. Please keep in mind that a workshop is only as worthwhile as the quality of the teaching by its instructor. Gravestone cleaning methods always matter! 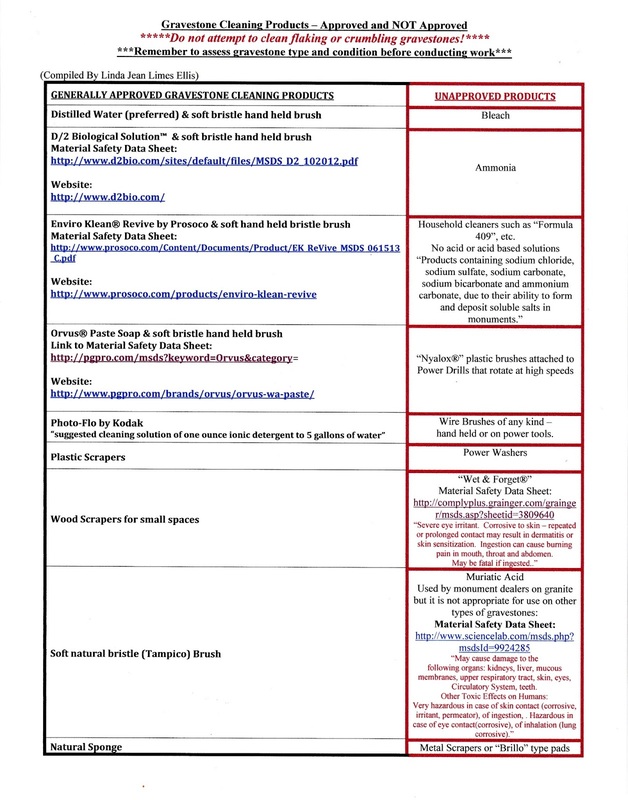 Below is a handy sheet to have on hand before attending a cemetery workshop that includes demonstrations and instructions on how to clean gravestones. Remember that not every gravestone really needs to be cleaned in order to read its inscription! Less is always more when it comes to gravestones. Approved Cleaning Products in left-hand column! 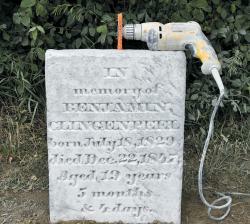 “NCPTT does not advocate the use of power tools to clean headstones. The use of such tools can abrade and remove granules from weathered marble and limestone. We do not advocate grinding, re-lettering, or polishing headstones as this alters the original surface of the grave marker. 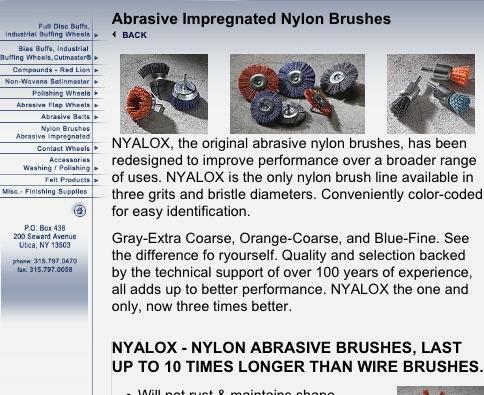 These abrasive brushes shown below are harmful to gravestone surfaces and have no place at a cemetery workshop no matter who the instructor is!